Launch of Migraine Patch Zecuity Delayed: NuPathe Inc. The innovative neuroscience solutions company NuPathe Inc. has announced a delay in the launch of it’s product – a migraine patch that is worn directly on the skin of the upper arm, called Zecuity. The product that was expected to hit the market near the end of this year has now been shifted to early 2014. NuPathe had obtained FDA approval for the marketing of Zecuity earlier this year. Zecuity is basically a drug delivery system. To be precise it is a sumatriptan iontophoretic trans-dermal system, i.e. it delivers sumatriptan via the skin route using the process of iontophoresis. 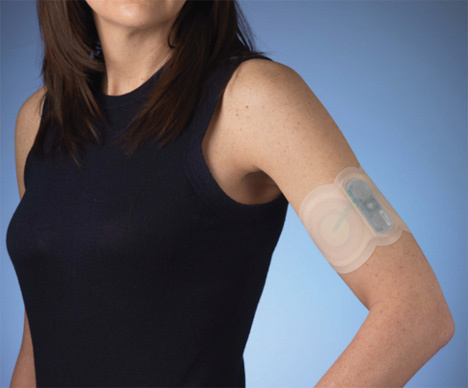 Iontophoresis involves the delivering of a drug through the skin using low electrical current and so the Zecuity skin patch is embedded with two coin cell lithium batteries which regulate the quantity of current applied and sumatriptan delivered (2). So far, sumatriptan has been known to be delivered through the oral route as pills, injections or as spray via the nasal route. Zecuity is safe for the treatment of acute migraines on patients with or without aura.